There is a quasi-tragic universal relationship between mothers and their children and it is this: they are one and yet two. For every child brought into the world there is the mother awed by the union of their love and fearing their separation. Sometimes the separation is real — life ending tragically soon. Sometimes the sword pierces the heart at a later time though perhaps not permanently. All this considered, one thing is constant: no human interaction that has even been has come without this prior maternal bodily union. God’s coming to earth is no exception, though it radically alters the created order, and makes our own earthly existence something of a passing shadow in light of the eternity within which it rests in real time. The reality of maternal union is an ecstatic, passionate, thrilling experience, and sometimes a gravely sorrowful one. Every emotion that we know as persons can be contained in the maternal love of the women we call mothers. Naturally or adoptively, they are for us the life bearers — the ones who transmit the life they themselves first received as a complete and irreversible gift. It is all sheer gratuity. Of this bounty comes the multiplied abundance they totally also possess to lavish others with. Giving away what one most loves, out of love, is joyful pain. The mother who exemplifies this all for us is the Virgin — the immaculate God Bearer. The conception of Christ and the hiddenness of His life in her womb is a mystery — one whose depths we yet contemplate in the millennia since His advent. Mary receives the gift of His human life, and then, in the immaculate vessel of her body, overshadowed by the Holy Spirit, welcomes the divinity that came to earth to be one with us. She and He are one in the maternal union that is proper and natural to every man’s origin, and yet, they are two. She gives Him his physical life, so that He can give it away for us. Giving away what one most loves, out of fullest love, is a joyful pain she knows so well. We are reminded of the ever surprising and loaded question Christ asks some years later which confirms that maternity, as He sees it, and as his mother lives it, is not bound by the en-fleshed biological connections we revere in our familial lives. So what is this maternity that prompts so surprising a question of the one who, being God, chose his mother, preserved her from the stain of sin, and knows her so very well? The Mother, this mysterious being who bears the Christ, and yet remains generally referred to by her very Son as ‘Woman’ is the very woman who nursed Him, and loved Him, and held Him hidden from the world for nine months. This is the Woman, the new Eve, preserved from original sin, who would receive the new Adam as her son. Exalted among women, even she knows separation and loss; she whose full consent, whose ‘Be it done to me’ enables the union of God with man, must know the tragic reality of physical separation — her Son’s work begins in the Father’s house and is completed in the agony of the Cross. After all, Christ came for us, and His desired home is the heart of man. There are countless modern parallels of the maternal paradox of union and separation. While the ordinary love of mother and child is the foremost image we have of order in the created world, in that it is intelligible, it is comprehensibly real to us, it is also often one fraught with difficulties, divisions, betrayal. Think of all the struggles in family life, the sadness of separation, the challenges of raising children, the disappointments of dashed expectations, the strain on union. All of these are experiences of severed human love. The hiddenness of the early life of Christ mirrors the hiddenness of some forms of human suffering that take place in the depth of the heart. We know little of what took place in Mary’s early maternity, her hidden maternity. Only brief clues are offered; glimpses of this hidden life. One wonders if she had a presentiment of what would follow. The Visitation is perhaps the most significant of these windows into that hidden Marian maternity. For the Lord’s first human encounter was with another like him in natural life — John, hidden in Elizabeth’s womb — he who stirred on sensing the presence of the hidden God. How interesting that of all the ways the Savior could have manifested himself first, he chose the hidden maternity of another woman and the fruit of her womb, to signal his physical presence in the created order. Elizabeth, a woman beyond childbearing, and the Virgin share the particular joy of a maternal encounter which presents for us the first sign that the Incarnation has touched its creation. And it comes to us as a stirring. Most blessed are you among women, and blessed is the fruit of your womb. We can see from all this that hidden maternity matters, and that in its tragic qualities of paradoxical union and separation, it is powerfully telling. That two women in Judah meet is no extraordinary thing. What makes the story simply stunning is that they, expectant, would be the first to verbally announce the advent of the Incarnate Savior. Joy leapt that day, revealing the glorious tragedy: God descends from paradise. The stirring of the womb — the leaping of the infant precursor — was not just that. It was the stirring of the soul that had met its Savior in the flesh and knew it. Light pierced the hiddenness of the womb, and revealed itself the Word made Flesh. 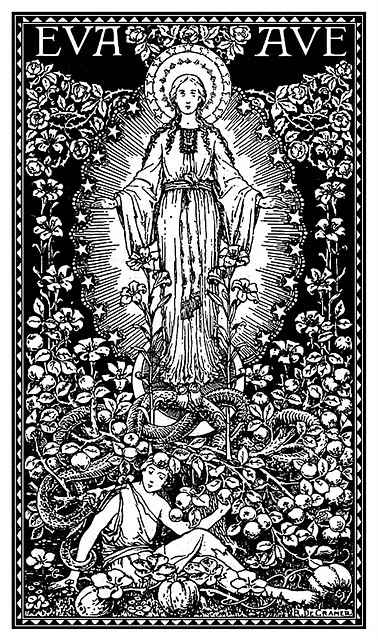 Ask if this were merited, if this were somehow earned, if this were anything but the sheer lavishness of God; His predilection for the ‘Mother,’ the Woman who first offered her trust, immaculate, blooming as the bud of the rose that expects the warmth of the sun and finds it a radiant sustaining light. For her maternity was firstly a spiritual maternity, hidden in the purity of a heart capable of a full and total love. Beautiful, as the rose of Sharon, the rosa mistica. And stretching out his hand toward his disciples, he said, ‘Here are my mother and my brothers. Every maternity can aspire to this greatness. Souls are waiting adoption. The Virgin leads the way as the first whose spoken word makes her mother to Christ and so mother for us. The silence of her maternal life is indication of the awesome reality hidden before us, made manifest in her sheer simplicity and total offering. The rose is a mystery’–where is it found? Is it anything true? Does it grow upon the ground? And its place is a secret and shut in the skies. Find me a place by thee, mother of mine. That was blest in it once, though now it is not? And broke into bloom upon Nazareth hill. I shall look on thy loveliness, mother of mine. What was its season then? How long ago? When was the summer that saw the bud blow? Since its birth and its bloom and its breathing its last. I shall keep time with thee, mother of mine. Tell me the name now, tell me its name. The heart guesses easily: is it the same? She is the mystery, she is that rose. I shall come home to thee, mother of mine. Is Mary the rose then? Mary, the tree? But the blossom, the blossom there–who can it be? Christ Jesus our Lord, her God and her son. Show me thy son, mother, mother of mine. White to begin with, immaculate white. When the rose ran in crimsonings down the cross-wood! I shall worship His wounds with thee, mother of mine. They multiply, multiply–who can tell how? Make me a leaf in thee, mother of mine. Does it smell sweet, too, in that holy place? In grace that is charity, grace that is love. In the glorious gardens of God, in beatitude divine, lives this Mother — Immaculate Mother of mine. For He loved her, His beloved one, from the beginning. This is the sixth article in a series on maternity. See also The Hidden Face of Love, The Common Good of Hidden Maternity, Why I Choose Not to Buy Myself A Child, Procreation is Not For Us. and A Maternal Feast of Thanks.